Leigh and I have been busy but not much to post about. The past few weeks have taken us on a couple small camping trips and we have gotten a couple pieces of gear (I will post about them later) but aside from a somewhat ‘uncomfortable’ stay at the Pachaug forest Mt Misery campground, there are no real stories and certainly not any pictures. The Mount Misery campsite is one of two public land campsites in the Pachaug forest and, if any of you know, it is the least private of the two with barely a bush between sites. It feels as though you are virtually on top of each other. This is not always a bad thing, especially when there is a family camping and they desire closeness but if said closeness leads to fighting at 3am, it can be a bit bothersome for all those surrounding the sites involved. Bad nights sleep left behind, the day and night was not a wash. Leigh, Cora and i walked a bit around the Rhododendron Trail and some of the dirt roads. 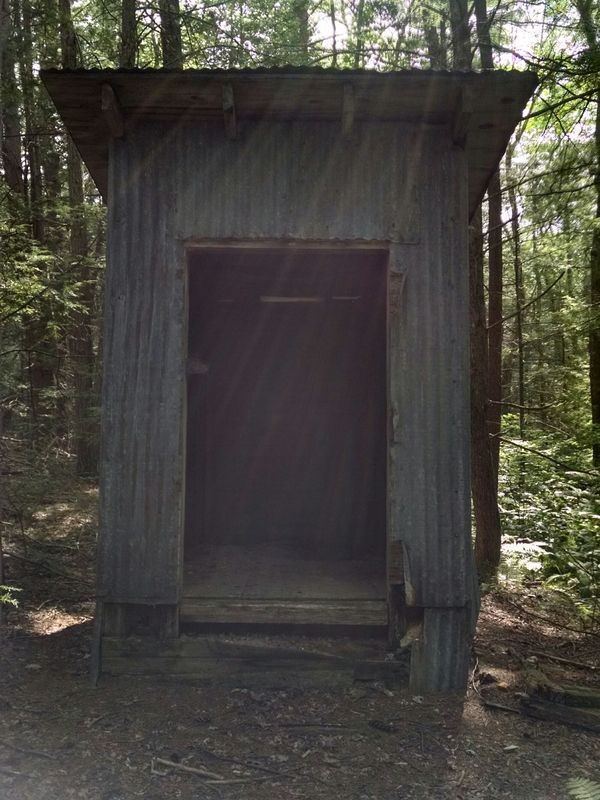 We stumbled upon two, what appear to be, storage sheds made of heavy timbers and galvanized corrugated steel and one of the two had a 1/4 inch plate steel door that was backed by heavy timber with a two equally strong hinges fastened by 1/2 inch carriage bolts. Maybe they are remnants of when this was a CCC (Civilian Conservation Corp) Camp? Camp Lonergan, I believe, around 1933. Cora and I play Go Fish until bed! A good time was had by all!.